There was a time when only a few companies knew about social media. But today, it is rapidly turning into a vital part of the modern marketing mix. Admittedly the entire marketing landscape has changed with the introduction of social media. With this revolution, managing a strong presence on premier social media channels like Facebook, Twitter, LinkedIn and GooglePlus has become a must for any business striving to bring their business up to speed. 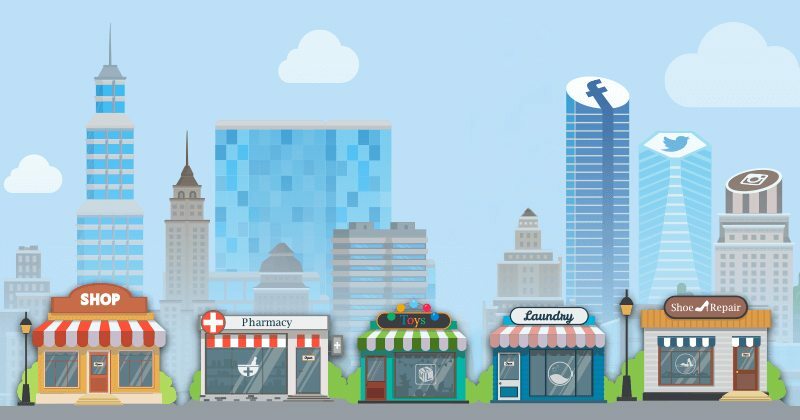 Embrace social media if you want to see your small business grow! Utilizing Social Media channels will go a long way in bringing quality traffic to your website. More businesses now welcome the idea of integrating social media into their marketing strategies. It is a great way to convert leads into potential prospects and the more channels you participate in, the more traffic you will drive to your website. Small businesses can use this opportunity to optimize keywords in the title and descriptions in a way that reflects search queries. Your marketing efforts get multiplied many times when you mix SEO with your SEO efforts on social media. Having a prominent social media presence is a great way to build your company’s reputation in your target market. It also gives you a golden chance to showcase your business message, products, and services. When you regularly update your prospects about your ongoing business, they will start viewing as an authority. Strong social media will help create brand awareness, building strong relations with your visitors and prospects and driving new sales. Social media gives you the perfect platform to develop good relations with your prospective customers. These days people enjoy interacting and prefer doing business with companies that are proactive in building a strong lively community. From a marketing perspective, Social Media delivers the best chances for brands to create a massive community of loyal and active customers. If you want your business to be found among the millions of websites on the Internet, you need to work hard on developing excellent social media strategies to increase your social media presence, this allows you to advertise your products and services to a larger audience round the clock. Applying right social media strategies will enhance your presence quickly in the digital space. So don’t allow your competitors to be ahead of you in the social sphere. It is one of the most affordable and intelligent ways to let your advertising opportunities grow exponentially. Finding time to keep up with social media while running a business can be difficult. That’s where we come in! Contact us today for a for a free consultation.